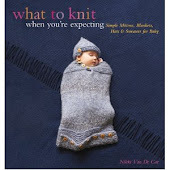 What To Knit When You're Expecting: Milestones? Today was RockNoodle's First Day of Middle School, and Toaster's First Day of High School. Both of them (especially Toaster) were wired last night, and our morning was peppered with questions like "Do you have everything?" "What shoes are you wearing?" "What time is the bus coming?" "Are you sure you have everything?" And then...what a letdown. Toaster dutifully posed for his First Day photo, and then took off down the street and got on the bus. RockNoodle had asked us to come with her to her classroom (more to carry her stuff for her than any particular desire to have us participate in the moment, I think)--but there were no other parents there. None at all. Last year there were tons of parents standing around with their kids, but no longer. Middle School means No Parents, and nobody sent us the memo. We left. Sheesh. Is there no respect for the First Day anymore? 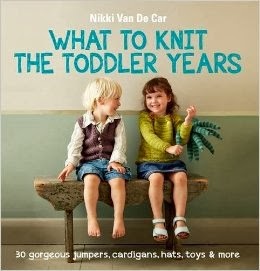 Though I guess, really, it's even more of a growing up milestone if the parent doesn't get to come too. Sniff.